Fiat Brazil does not stop. After the presentation of new Siena, the facelift of Palio Weekend and Bravo, now it is time for the Punto, a product that is built locally and points to a specific client in the B-Segment. Basically they present the EVO version already seen in Europe but much better in terms of engines and accesories. 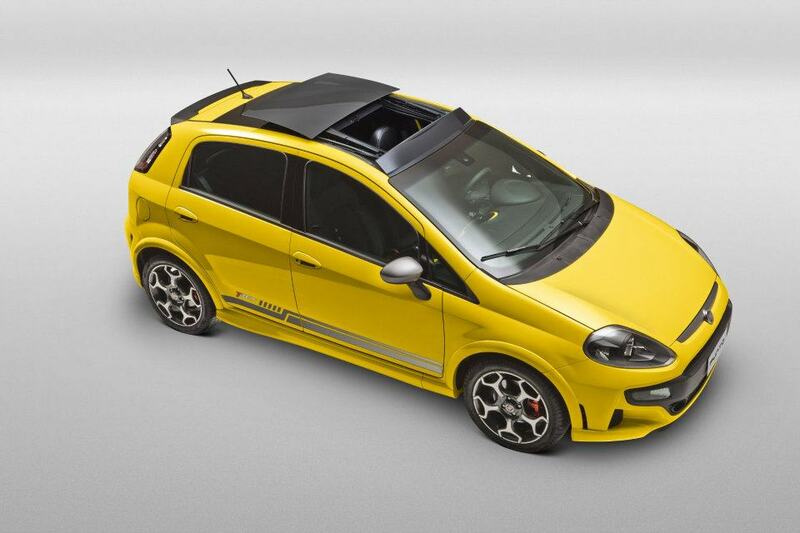 Externally it looks just like the Punto EVO in all versions but the top one, the T-Jet, adds some Abarth touch. Inside the car improves a lot, just as what happened with Grande Punto and Punto Evo. 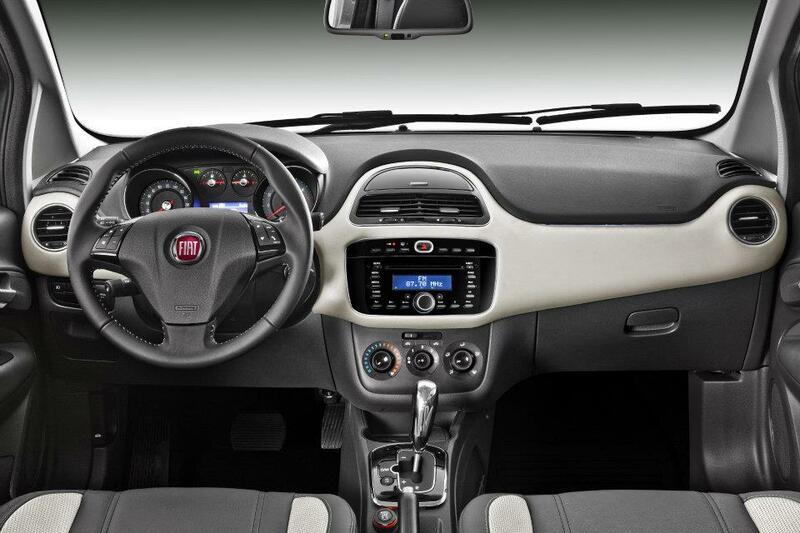 The sense of good quality can be seen everywhere and Fiat guys added a interesting feature all over the dashboard with the possibility of giving it some color, as seen in the Fiat 500. There will be 4 options available called Attractive, Essence, Sporting and T-Jet. All of them include double airbag and ABS. Sporting version adds air conditioning, while the T-Jet one comes with rear electric windows, sporty seats, smaller steering wheel, 17″ wheels and subwoofer sound system. In terms of performance, the new Punto offers the new Dualogic Plus gearbox, presented in the Bravo 2013, which allows an easy start in a clamber. But the best new feature comes with the T-Jet. It comes with the DNA system, the same of Alfa Romeos, and now available for the first time in a Brazilian made car. This system changes the way the steering wheel, accelerator and valves opening, work according to the selected option, Dynamic, Normal or All-Weather. The Punto was introduced in Brazil in 2007 as better and more expensive option than the Palio, also B-Segment. In Brazil there are the regular B-Segment cars such as the Gol, Palio, Corsa, Fiesta, and Sandero, and the B plus segment like the extinct VW Polo, Fiat Punto, Citroen C3, Chevrolet Agile, Ford Fiesta (latest generation) and Nissan March, all starting around R 35.000, or € 14.000. From them the most popular one is the Chevrolet as has cheaper entry versions, but is important to mention the good results that the Nissan has had during the last months. It is made in Mexico, along with the Fiesta, so it means they don’t pay taxes to get in Brazilian market (though new trade agreement between Brazil and Mexico will change that). 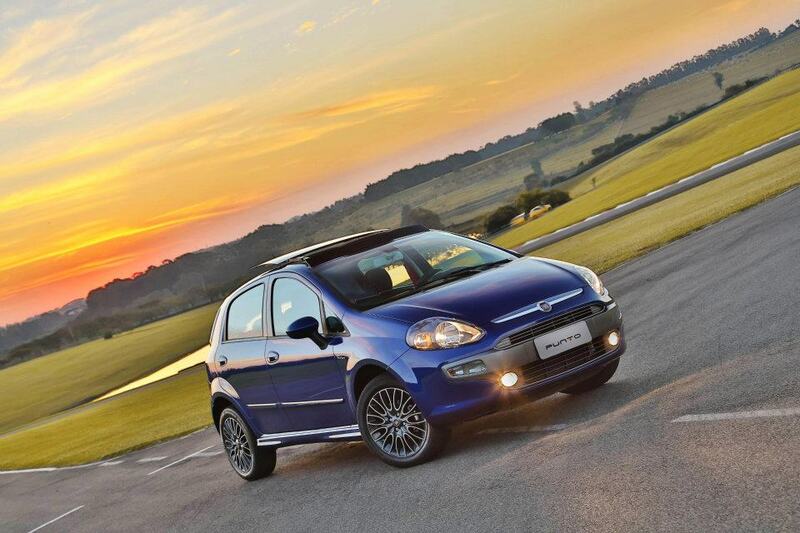 Since 2007 the Punto has sold 168.000 units (until June/12) and has been among 30 best selling cars of that important market. 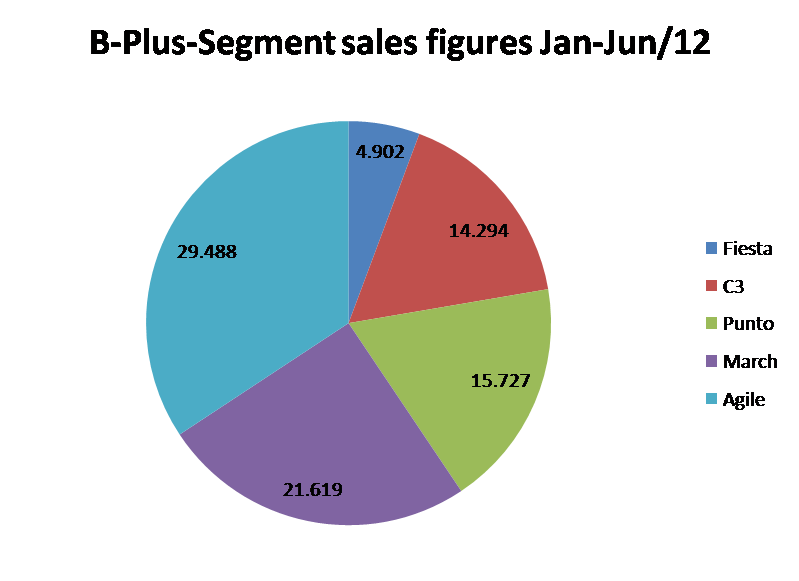 However Fiat wants to maintain its sales, which has dropped a tiny 2% due to the arrival of the March and Fiesta. 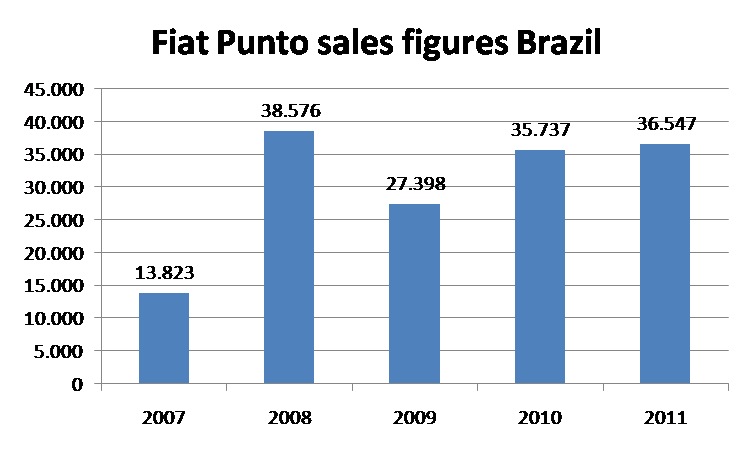 The Punto means the next step after the popular Palio and is more or less Fiat’s main ‘luxury’ car in Brazil as the Bravo and Linea are not really popular. The car will be on sale starting at R 38.570 (€ 15.630) up to € 22.590 for the T-Jet version with DNA and Turbo engine with 152 hp. 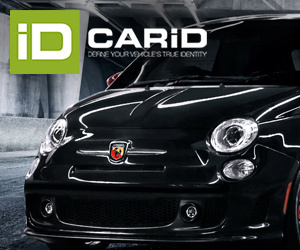 Punto’s FPS (Fire Prevention System) that automatically cuts-off the fuel-flow in case of collision and minimizes risk of fire and FCS (Fiat Code System) that uses Immobilizer with Rolling Code which provides more protection against theft are segment leading safety and security features. Very good Juan fe i love your work! I’ve heard he is coming out with a new article on Fiat and chrysler’s sales Of the first half Of the year so tell everyone to read it. Thank you Bobby and Libby. I’ll let you know when that article will be ready. Thanks for following me! The Punto seems to be quite a popular car in Brazil. It also has great popularity here in the UK. Great article, thank you for writing it Juan.